It is time for another installment of our Dota 2 weekly series! There has been a lot of exciting news in the scene, and there is much to discuss with the Kiev major already underway. In this article, we will be going over some results from the early stages on Kiev, as well as other major pieces of news. Your time is valuable, so without further delay, let us get started! The first piece of news this week is about Fnatic. This popular eSports franchise has had a strong of good results lately, and it had a flawless run to qualify for the ZOTAC Cup Masters in Taiwan. This LAN will take place on May 30, so be sure to mark the date on your calendars to watch some exciting Dota 2 action! eSports, in general, is usually not considered “sports”. However, now games can achieve a gold medal on the national stage for playing Dota 2! In China, the 2022 Asian Games is a big event, and for the first time ever, will feature eSports! This is exciting news indeed and has lead to major news outlets publishing articles recognizing eSports. This is far from a guarantee that eSports will be part of the Olympics however. A popular British sports book is even offering you quadruple your money if eSports are added to the 2024 Olympics. Nonetheless, this is a step in the right direction. Do you hate smurfs? Maybe you are ok with them or are even one yourself. Regardless of your opinion, Valve has decided to implement a feature called prime matchmaking. You will now have to verify and attach a phone number to an account to play ranked battles. The same number cannot be used on multiple accounts. While this supposedly forces players to choose just one main account, some diehard smurfs are probably going to find a way to attach different phone numbers to multiple accounts and continue their smurfing ways. Still, at least Valve is trying to fix an issue in the community. Perhaps unsurprisingly, Invictus Gaming qualified for the ZOTAC Cup. They are already a top tier team that was expected to qualify, but I thought I would throw that out there anyway. We will move onto some roster changes now. Complexity Gaming recently cut ties with two members in 747 and Monkeys-Forever, in an unexpected move. Their plan to move forward after these roster cuts is still unclear at this point. The Ninjas in Pyjamas recently replaced SyndereN with iNsania. This move gives them a more solid player in a support role. SoNNeiko left Vega Squadron, and rejoined his old crew in Navi. OG is the first squad that was directly invited to EPICENTER: Moscow 2017, although many crews hope to follow in their path. The Clutch Gamers, a relatively new name in the scene, recently won the ProDota Cup SEA 7. We hope to see more out of this Filipino roster! Perhaps the most shocking piece of news in a while came out early this week. Wings Gaming has officially cut ties with all five of its players. That is right, WG, champions of The International, are no more. All five members left the team, after a long battle of financial disagreements. Valve itself confirmed this move and renamed Wings Gaming to Team Random. The players will continue to play, but not under WG. They left after they were withheld salaries for the past two months. On top of this, they were kicked out of the gaming house! They even lost forty percent of their winnings from The International, which amounted to over nine million USD. This is indeed a terrible thing for the community, but perhaps Wings Gaming’s recent streak of bad results can be chalked up to the tension between the two sides. We wish Team Random all the luck in their future tournaments! It seems as if India is becoming quite a focal point for eSports, as yet another Dota 2 tournament is announced there. This time, it is the ESL India Premiership. With a prizepool of sixty four Indian lacs of rupees, it features a huge prize in terms of the Indian Dota 2 scene. The prize is equivalent to one hundred thousand USD! 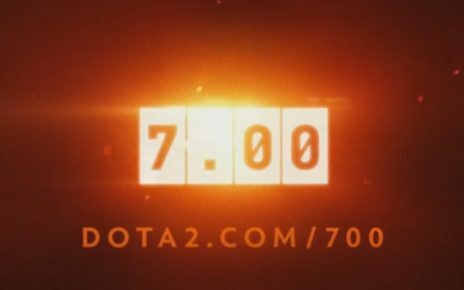 Let’s hope that this news improves Dota 2, and introduces a whole new market to the game! Vega Squadron also managed to secure a spot in SL i-league, and will travel to Shanghai later on in the year. Finally, let’s finish with a recap of the first two days of the Kiev major. This major was full of upsets and surprises, so we shall get right to the results! The Evil Geniuses lost in the first round to TnC, while Newbee lost to Digital Chaos. In other results, Secret took care of VG.J, iG destroyed mousesports, Team Random (former WG) beat iG vitality in a tense three map battle, while OG squeaked by SG.br in three maps. TB beat Liquid 2-1, and unsurprisingly, Virtus.Pro absolutely destroyed Faceless in a two map victory. In the winners half of the bracket, iG beat OG in two maps. Virtus.Pro managed to beat Team Random in three maps, and TnC beat TB in three as well. Secret destroyed Digital Chaos in a two map victory. The loser’s half of the draw saw Faceless lose to Evil Geniuses in three, Newbee beat mousesports in three, close maps, and VG.J beat iG.V in three tight maps as well. The last map saw Liquid take care of SG.br 2-0. Thanks for reading this article and sticking around till the end. Be sure to check out the other weekly articles, and lookout for future articles as well. I will see you next time, but bye for now! Good luck! 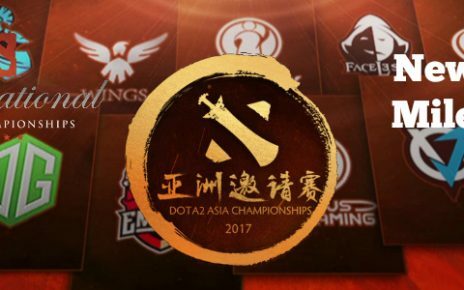 Dota2 Weekly: International 7 Info, DAC 2017 News, 3 Billion Milestone! 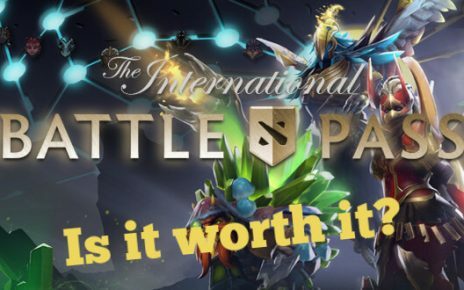 Dota 2 2018 Battle Pass Guide: Is it Worth to Buy it?